Iran and Russia are reportedly moving closer in concluding a possible contract for the co-production of an undisclosed number of Russian-made Sukhoi Su-30 multirole fighter aircraft, Iranian Defense Minister General Hossein Dehghan told local media over the weekend. Speaking to reporters in Tehran on November 26, the defense minister said that “the purchasing of the fighter jets is on the Defense Ministry’s agenda,” the Tehran Times reports. “Any sort of cooperation with the selling side should be conditioned upon technological partnership and joint investment,” the minister further elaborated. Iran’s Tasnim News Agency reports that Russia allegedly has agreed to the minister’s terms. Russia’s defense ministry has so far neither confirmed nor denied the Iranian minister’s statement. In August 2016, Dehghan announced that both sided were holding consultations over a possible aircraft purchase. “We don’t need other long-range air defense systems (in addition to the S-300 and Bavar-373); we no longer plan to purchase them. Therefore, the Iranian Defense Ministry’s agenda includes consultations with Russia on the purchase of Sukhoi aircraft. We need to strengthen our Air Force,” Dehghan said on Iranian TV at the time. Russia is currently in the process of delivering S-300PMU-2 Favorite long-range surface-to-air missile (SAM) batteries to Iran. Should the deal go through, Iran would be the second country after India to locally manufacture the Su-30SM is a 4++ generation multipurpose fighter aircraft. 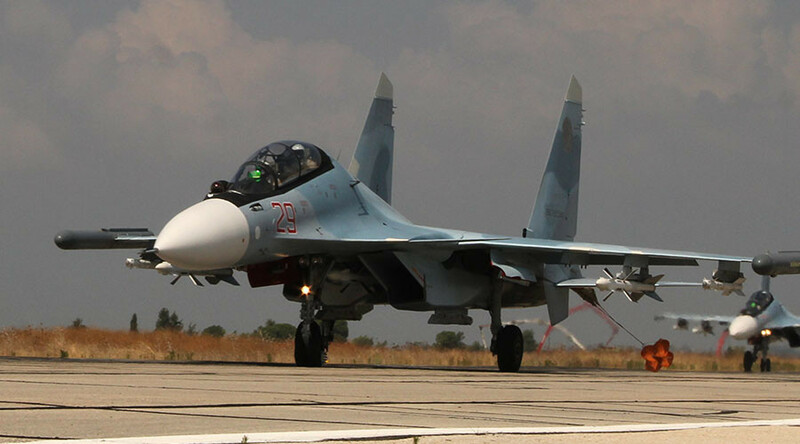 Iran and Russia reportedly first deliberated over a possible Su-30 fighter jet deal in the summer of 2015 during the MAKS airshow, held near Moscow. Under the so-called Joint Comprehensive Plan of Action (JCPOA), an international agreement on the nuclear program of Iran signed in July 2015 that went into effect in January 2016, the UN arms embargo will be lifted by October 2020. Any offensive weapons deals with Iran prior to that date, including the sale of combat aircraft, will have to be approved by the UN Security Council.